Bezos' Medium post helped him take control of a potential reputation crisis and turn it around, say comms experts. 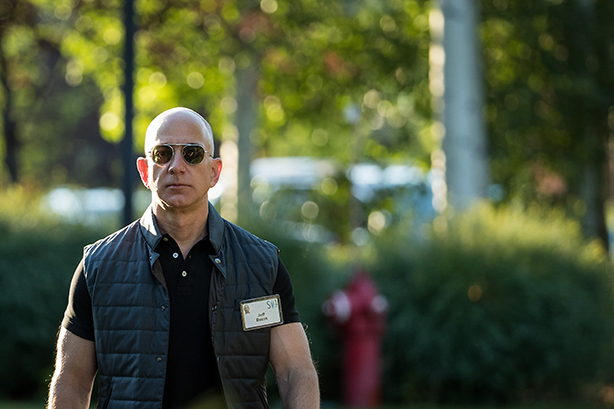 The way Jeff Bezos tackled an alleged extortion attempt by the National Enquirer was met with broad consensus among PR pros: the Amazon CEO handled the situation masterfully. Bezos jumped on blog platform Medium on Thursday evening to write a post laying out the details of an "offer [he] couldn’t refuse" from "top people" at American Media Inc., the owner of the Enquirer. Bezos explained that AMI tried to blackmail him with personal photos involving him and TV presenter Lauren Sanchez, a woman he was having an affair with. "[AMI said] they will publish the personal photos unless [security consultant] Gavin de Becker and I make the specific false public statement to the press that we ‘have no knowledge or basis for suggesting that AMI’s coverage was politically motivated or influenced by political forces,’" Bezos wrote in his post. Also, AMI wanted to kill an investigation Bezos started after the Enquirer revealed his extramarital affair. These developments follow news that Bezos is divorcing his wife of 25 years, MacKenzie Bezos, who helped get Amazon off the ground in its earliest stages. "I think [Bezos] handled it brilliantly," said Stu Zakim, president of Bridge Strategic Communications and a former spokesperson for AMI. "He couldn’t have been more transparent. He doesn’t like being in the spotlight. But if the richest man in the world couldn’t stand up to people like that, who can?" Bezos was favored by a margin of five-to-one as the clear winner of the PR melee, according to an ongoing survey by consumer intelligence company Toluna. The survey says 56% of its 350 respondents have a positive perception of Bezos. On Friday, AMI defended its reporting and promised to investigate Bezos’ claims, according to media reports. AMI and Amazon representative were not immediately available for comment. "The big lesson here is: don’t pick a content fight with someone that buys content by the terabyte," said Bill Nowling, MD and partner at Lambert. "In the era of clickbait journalism, you have to fight back fast and hard against sloppy and unethical reporting practices. In crises we say, ‘Own the worst thing they can say about you and go from there.’ But it goes beyond that." Danica Ross, chief client officer at Grayling, was impressed with Bezos’ ability to turn a potentially devastating loss into a resounding win, especially in the #MeToo era. "You’re never more vulnerable when someone says you’re going to be exposed – literally and figuratively," Ross said. "And he turned it around and took control of that moment. [The message he sent] was: if pictures came out, they came out, and he’d be in control of it." Now, as Ross and others have noted, AMI may have put itself in legal jeopardy. The timing of the Enquirer’s outreach to Bezos was also suspect. Nowling noted that based on his reading of Bezos’ statement about his divorce, the salacious text messages and photos of Bezos were a "moot point, because there didn’t appear to be any aggrieved parties." "The only thing [AMI] had was the salaciousness of the news," he added. "Instead of avoiding that, he turned back around and sailed directly into it and called them out." Writing in his blog post, Bezos batted away the insinuation that details of his personal life are reflections of his "business judgment." "I founded Amazon in my garage 24 years ago, and drove all the packages to the post office myself," Bezos wrote. "Today, Amazon employs more than 600,000 people, just finished its most profitable year ever, even while investing heavily in new initiatives, and it’s usually somewhere between the #1 and #5 most valuable company in the world. I will let those results speak for themselves." Nowling approved of Bezos drawing a line between personal and private. The message Bezos carried was: He’s fair game for business activity and he welcomes it, but he will not stand for the Enquirer’s "thuggish" practices, Nowling said. Bezos gained the public’s goodwill for "possibly sparing future victims" from the Enquirer’s practices, Ross said. "In a situation where many men are painted as dirty or lecherous simply for having those pictures out there, he achieved hero status," she added. The confluence of the #MeToo movement and the Enquirer’s "catch and release" program also throws into sharp relief the speed and scale at which information is disseminated, said Howard Opinsky, president of Five Blocks, which specializes in digital reputation management. For Opinsky, the Bezos story reflects the growing impact "information merchants" have on public discourse. "The tabloids used to be the province of celebrities and royalty, but now it’s crept into politics and business in a way I never would’ve imagined," Opinsky said. "They recognized the power of the information they have and the impact it can have broadly." That the ability to distribute and weaponized information is nothing new, he added. However, it has grown considerably with the ability to syndicate electronically. "We’re not even close to the beginning of the beginning to how information will be wielded as a weapon of war and business," Opinsky said.